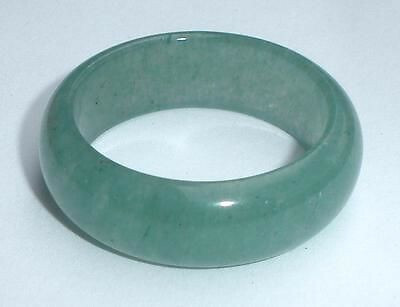 This is a beautiful light green hand cut treated jade bangle ring or stacking ring band in x large size 11 1/4. The color is light green shading to white. 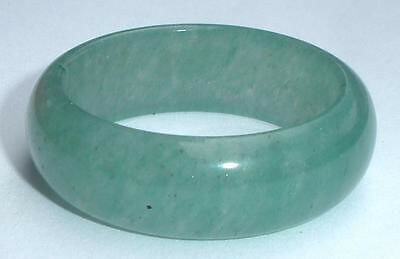 It is well carved, curved and rounded like a bangle. Width is 1/4″ across. It is able to be used alone or as a stacker with other rings. It is also quite comfortable. 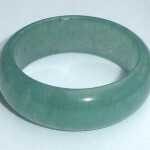 A lovely jade bangle ring for your collection. 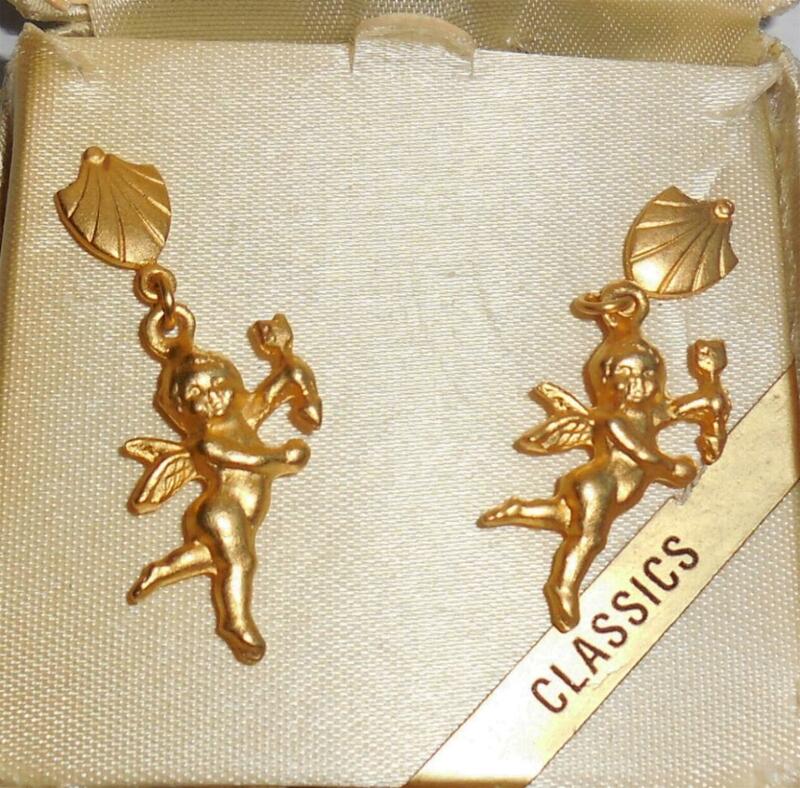 Beautiful pair of Florenza for Tacoa Dangle Pierced Angel Earrings Heavy Gold Plated Satin Florentined Finish Size is 1 5/8" long each Never Used, Mint Condition Worn Tacoa Box Please see photos and read product description below. This is a lovely, vintage 1960s, heavy goldtone and bezel set rhinestone bracelet in beautiful condition. The goldtone plating is so thick that any maker name would be under the gold. Size is 7 1/2" long by 5/8" wide. Depth is almost 1/4". It is quite heavy and very chunky. No wear to the gold and no damage or repair. 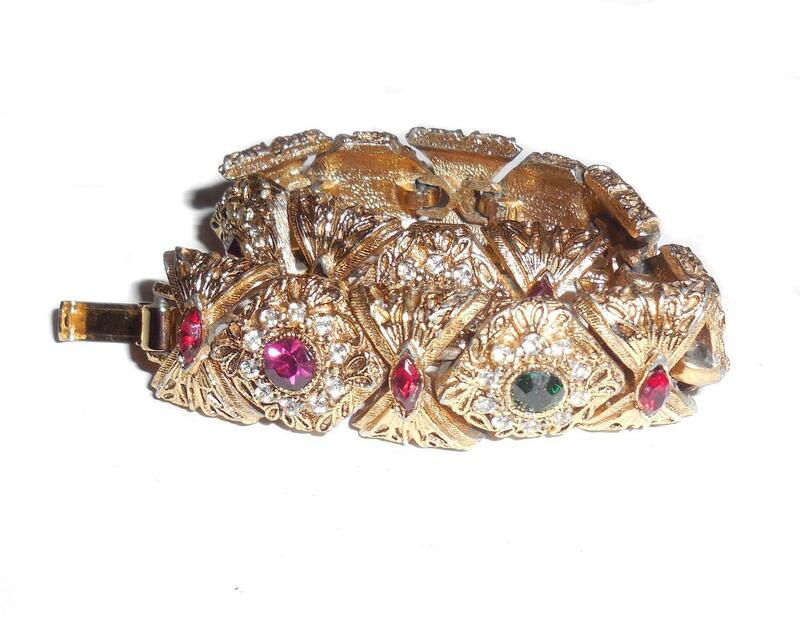 This is a gorgeous, vintage statement bracelet for your collection. It is substantial, well made and very noticeable as true older vintage. This is a Vintage Signed Goldette Fancy Silver Spiral Bracelet Never Used. It is heavily silverplated and composed of spirals with fancy cut work on all edges. 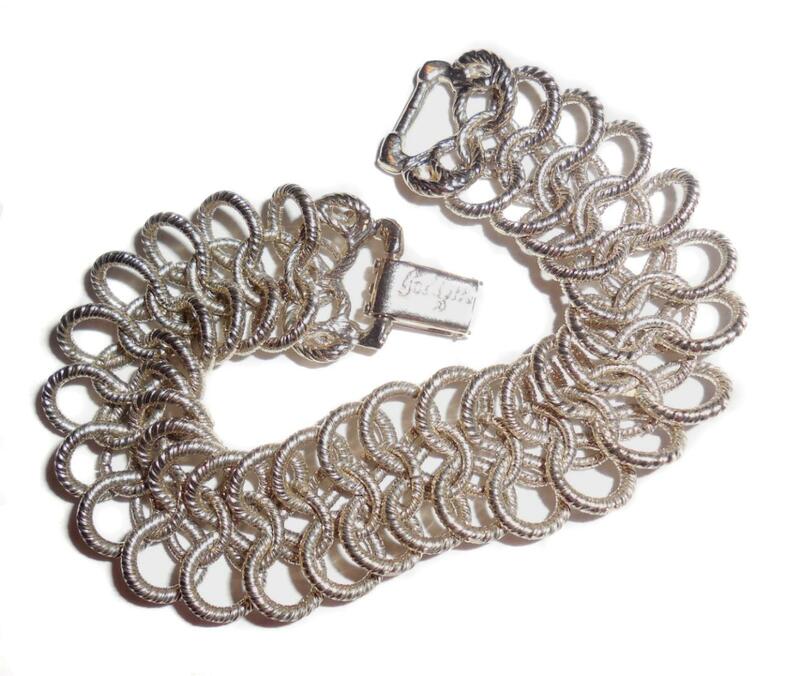 They loop entirely around the bracelet almost like a squiggle. Beautiful, no damage condition. It is old store stock from a 1970s jeweler's estate. No wear to the silver. Each linkage moves independently of its neighboring link. Like a slinky toy and similar to articulated jewelry. Size is 7 1/8" long end to end laid flat with the clasp end closed. Should fit a small to medium small wrist size easily. Width is 3/4". 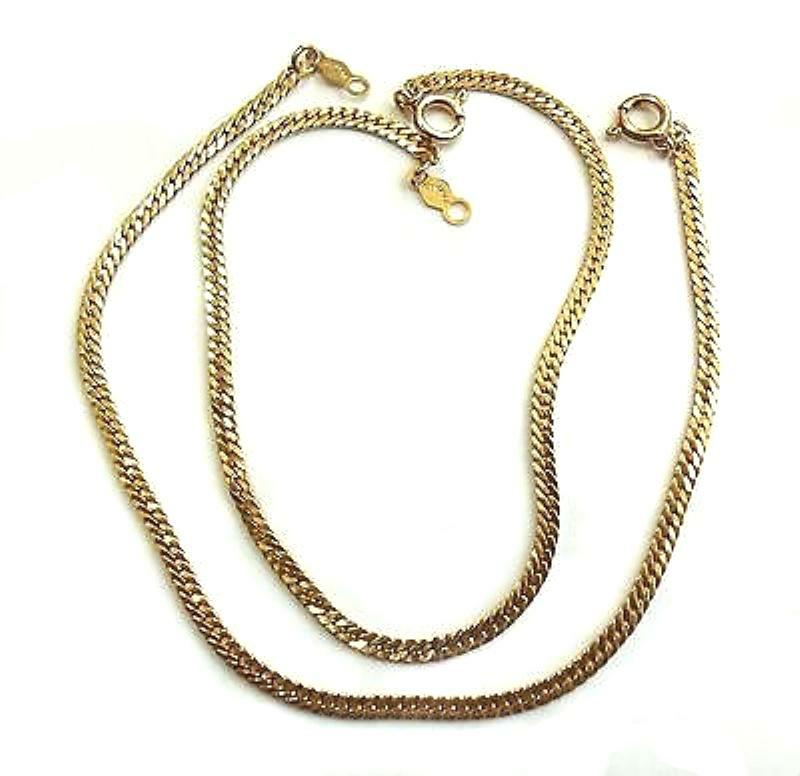 This is a lovely 1970s Goldette bracelet for your collection.